2013 has been exciting year for me. Amazing projects are on the horizon. Lets go down the list. This will be released the spring of 2013. This project was inspired by relationships. This seven track..(at the moment) Ep is a loose story about a relationship between a man and a woman. This is a project that focuses on the start of a relationship to the start of a relationship. My intention was to create a project that had some type of loose narrative that would cater to women’s sensibilities and be more inclusive with respect to rap music and Hip Hop as a culture. The bulk of the production is done Tye Hill. Eddy Lamarre and Crankz from Poland also provide solid production. The lead single “Take Our Time” produced by Tye Hill is a smooth laid back track that is an introduction to the project and sets the stage for the rest of the Ep. Feel Free to Listen/Buy the track below. I collaborated with some of Chicagos best talent to create a project called “The Guild. 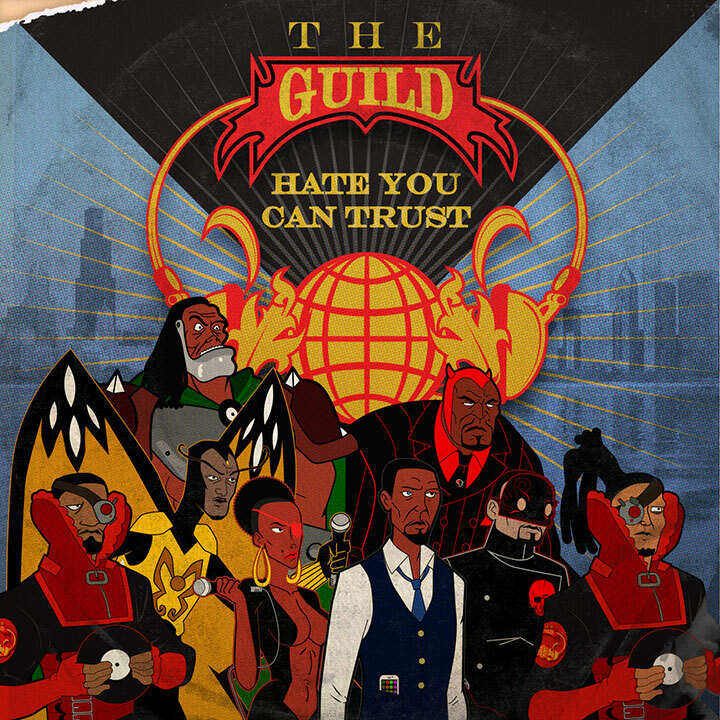 A Hate You Can Trust” This project is the brainchild of Marshall “Mars” Lindsey and Dj Kwest On and is inspired by the Cartoon Network Animated Series on Adult Swim called The Venture Brothers. I am super excited about this project. 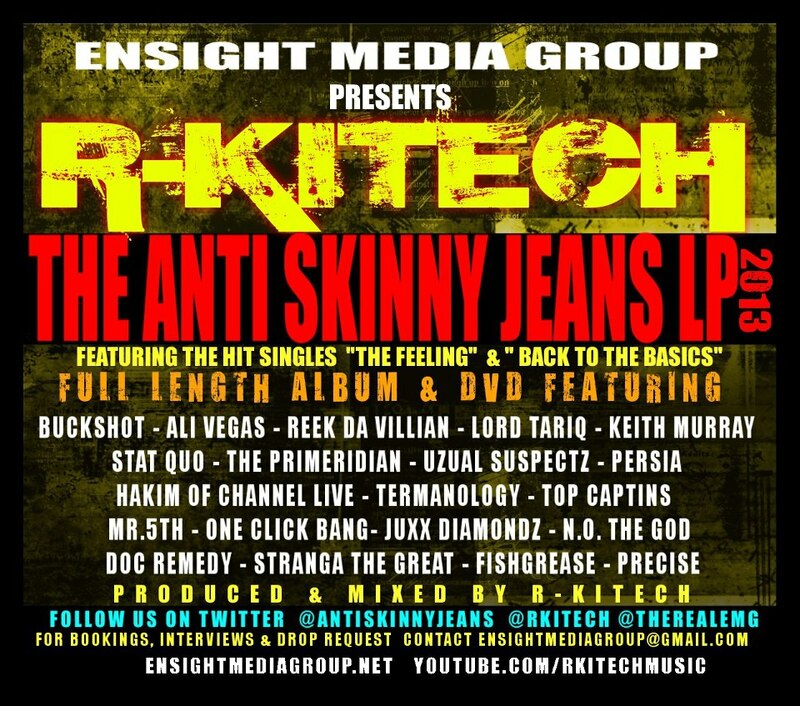 The Anti Skinny Jeans Lp is the brainchild of rapper/producer Rkitech from Long Island Ny. He has produced for notable artists such as Mary J Blige, EPMD, Redman and a host of others. This project features the likes of Keith Murray, Buckshot, Hakim from Channel Live, Prime Meridian and ME…Precise. The lead single called “Back to the Basics” Ft Rkitech and Hakim fro Channel Live provides some good insight as to what you should expect. Check the video below. ….keep your eyes open for the“The Feeling” video ft Rkitech and Precise …listen to the song below. So…as you can see 2013 is pretty busy and there are still a few projects that I have not mentioned. Do me a favor….listen to the songs…peep the promos and LEAVE A COMMENT, LIKE and SHARE!! This entry was posted in Uncategorized and tagged anti skinny jeans, buckshot, Chicago, cya, eddy lamarre, ep, hakim, hate you can trust, hip-hop, Just cuZ, keith murray, kwest on, ladies love mixtapes, LLM, lp, mars, marshall, new york, Nicole Sampshon, Precise, rkitech, sean ace, the feeling, the guild, vision77 by Precise. Bookmark the permalink.